Whether you are a wholesaler, manufacturer or distributor, you need the right tools to control your warehouse. 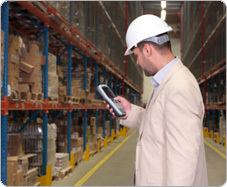 Warehouse inventory management software gives you those tools. With this software, you can track incoming and outgoing parts, materials and products. You can also generate reports that help you know where to make improvements in your inventory management system.